Galileo 7 with Captain Kirk aboard collides with an unknown space craft. 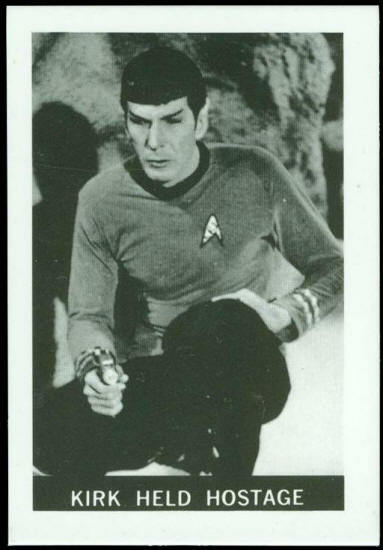 Mr. Spock examines the wreckage but finds no bodies. Metal is also strangely unlike that of Galileo 7. 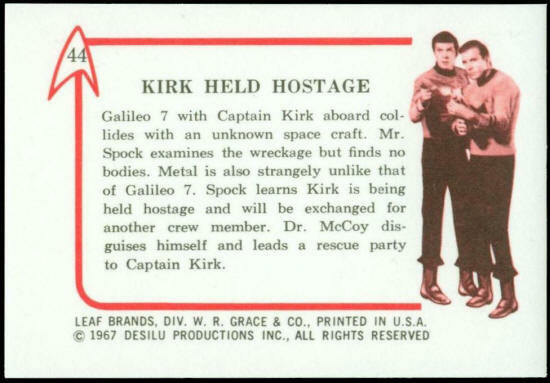 Spock learns Kirk is being held hostage and will be exchanged for another crew member. Dr. McCoy disguises himself and leads a rescue party to Captain Kirk.